Crime has a way of changing us. Just the other day I reported a sighting of a stolen car and felt this wave of euphoria come over me. I felt that I did something important and felt happy about what I’d done. When we see a crime happen, three things generally occur: we report the crime, we intervene to stop the crime in progress, or we do nothing. All three of these are utilized in Bad Samaritan, a dark new thriller by producer turned director Dean Devlin, whose directorial debut was the lackluster Geostorm last year. This time around Devlin has crafted a smart, well-written thriller with genuine thrills, and outstanding performances from its cast, making Bad Samartian a damn good thriller. The setting is Portland, Oregon — no Los Angeles, Chicago or New York City! It’s a different setting and a unique choice. We begin the story with Sean (Robert Sheehan), an aspiring professional photographer who works as a valet at an Italian restaurant named Nino’s. He and his co-worker Derek (Carlito Olivero) spend their time robbing customers blind by taking their vehicles and stealing from their residence while the customer dines inside. One robs while the other stands guard outside the restaurant. They’ve made good money and steal valuable things, but nothing that the customer wouldn’t notice; a ring here and a watch there while avoiding the big screen televisions and fancy jewelry. They steal from people who they feel are above them, such as the filthy rich or the ones who drive gas-guzzling SUVs — the snobby types. One night a man arrives at the restaurant who isn’t nice, which makes him the next target that the valets decide to rob. What happens next is a carefully executed scene where Sean enters the home of Cale Erendreich (David Tennant). He has a beautiful home, an exotic Maserati and a secret that he’s keeping — a woman (Kerry Condon) is being held captive in chains. Sean’s life is forever changed and becomes entangled in a cat and mouse game with Cale. There are a lot of the dark images in the movie. The setting is bleak and walking through a dark home unsure of what is behind what doors brings a lot of suspense to Bad Samaritan, but thankfully there aren’t many obvious jump-scares — that tired old cliché. The music is creepy and the performances of Sheehan and Tennant are put to good use. Sheehan is terrified of what is happening and the phone call he makes to the police was almost the exact way I felt when I spotted that stolen car the other day. I wasn’t scared but that adrenaline was pumping. 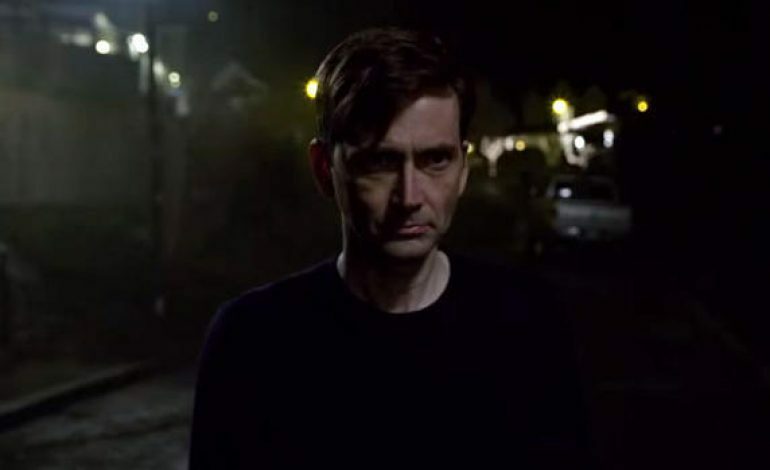 Tennant is very good here and my love of studying crime made me feel like an amateur profiler trying to understand what happened to him when he was younger that turned him into the monster he is today. Bad Samaritan works well with a great script by Brandon Boyce (Wicker Park). All the tension feels realistic, the killer is menacing and quite memorable, and the fear that Sheehan displays here is absolutely outstanding. Devlin’s direction is on-point and the result is a finely tuned thriller that reminded me of The Collector and The Collection, albeit without the grisly images of course. Bad Samaritan had me on edge the entire length of the film. I was hooked right from the beginning. There aren’t any heroes in this movie, one is a thief and the other is a murderer. But, the way that these two meet is a recipe for a great story and the movie never drags. The only criticism that I have is a flashback scene involving animal abuse; it’s brief but it is very off-putting, especially for animal lovers such as myself. Besides that, Bad Samaritan is an efficient thriller that is exciting, nerve-racking, and one of the Best cat and mouse thrillers in recent memory. I’m afraid it will get overlooked with the current releases but if you’re looking for a mystery that will grab hold of you, look no further that this one! No wonder I don’t let valets park my car, my home has many secrets just not the kind found in this story!